It’s Monday, which means a new podcast episode! 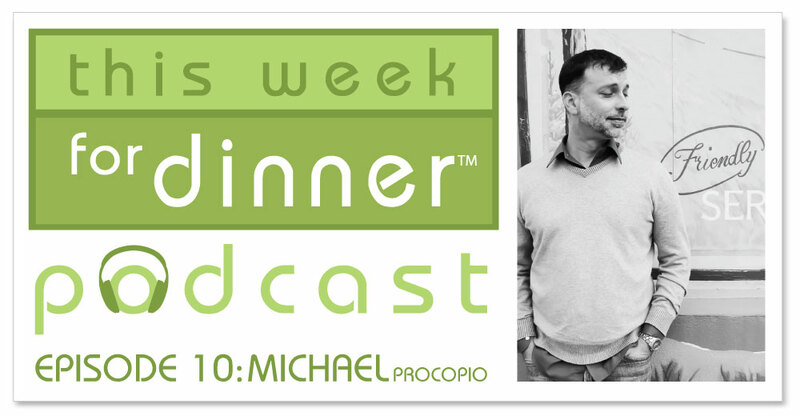 Today’s show features a recent conversation I had with food writer Michael Procopio from Food for the Thoughtless. It is safe to say that Michael’s blog is one of my favorites. He is witty and funny and sarcastic and his writing makes me laugh every time. Even his recipes are funny. Michael lives in San Francisco and is a culinary school graduate who has had an extensive and varied career in the food world, from working as a pastry chef to food styling to waiting tables (oh, the stories) to recipe development to joining the Court of Master Sommeliers. In today’s show he shares a recipe that is perfect for the holidays (maybe not quite in the way you are thinking!) and a great kitchen tip, peppered with his always-entertaining thoughts and stories. I love this episode and it was a joy putting it together, even though listening to myself laugh and laugh and laugh some more was pure torture. Thanks for that, Michael.